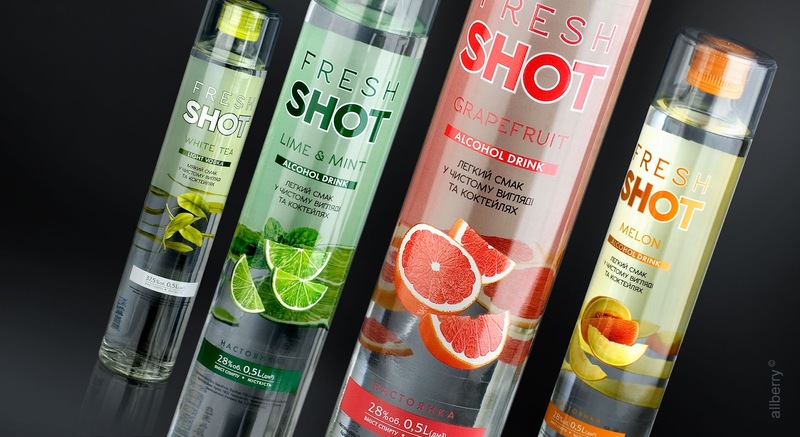 The range of low alcohol fruit vodka Fresh Shot opens a new category for light fruit spirit for the Ukrainian market. Brand slogan is "Fresh Shot. Mix your life". Allberry Agency carried out a full range of works from creating a brand name to creating a product design. Light, bright and juicy appearance of low-alcohol vodka Fresh Shot reflects the summer mood and delicious fruit flavors of the drink. 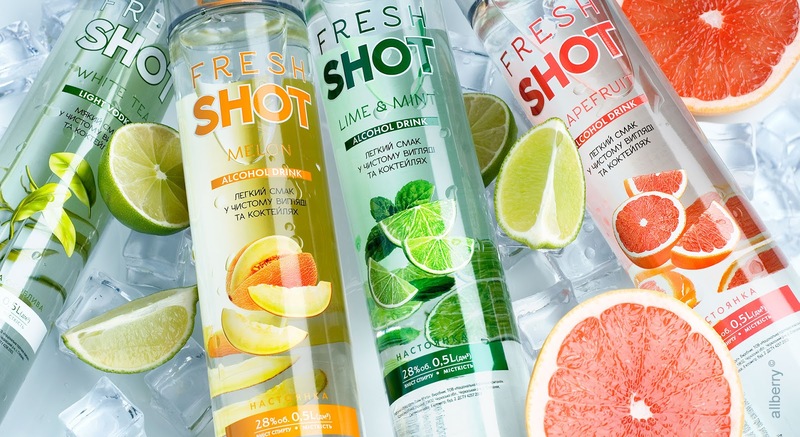 Fresh Shot was created as a drink for a young audience, a bright start to any party. In the trend of cocktail culture, the brand offers original author's recipes posted on the product label.